FAIRFIELD — Coming off an indoor season where he won the 3,200-meter races in the FCIAC championship, the Class LL meet and the State Open meet and finished second by one second in the New England Interscholastic Indoor Track and Field championships , Warde’s Will Brisman is ready to led the Mustangs to outdoor success. Brisman won the FCIAC indoor race with a time of 9:13.02, the Class LL race in 9:26.47 and the State Open event in 9:16.26 — setting a new school record in the process — and took second at the New England’s in 9:13.55. He was also part of the Mustangs’ 4x800-meter relay team (with Jackson Stearns, Charlie Kieffer and Joey Ciccarelli) that finished third at the FCIAC’s and second in the Class L last spring. The Mustangs posted a 6-2 regular season record last spring, finishing seven in the FCIAC meet and seventh in the Class L meet. Kieffer was fifth in the 800-meter run at the FCIAC’s, finishing in 2:00.23. David Harvey was second in the 100-meter hurdles (:16.41) and was sixth in the 300 hurdles (:43.32). Also returning are Qasim Danazumi, who was fourth in the triple jump (41-feet, 1/4-inch) and was 16th in the 200-meter dash (:24.00), Alex Mocarski and Biani Noubissi. Led by middle distance runner Ian Bartlett, Ludlowe is out to improve on last spring’s 4-4 regular season record, its 12th place in the FCIAC championships and its 21st place showing in the Class LL meet. Bartlett, a junior, placed second in last spring’s 800-meter run at the FCIAC championship meet, finishing in 1:56.81. Seniors Ben Ertel (11th in the 3,200-meter run, 10:06.78) and David Bates — both were part of the 4x800 indoor track relay team, along with Bartlett, also return for coach David Nuff. Senior sprinter Javion Beasley (39-feet, 9-inches in the triple jump) is back, along with senior Chris Binkowitz, who set a new school record in the long jump at 19-feet, 11-inches during the indoor season and sophomore Jackson Hemphill, who broke the school record in the pole vault at 12-feet during the indoor season. Senior Tad Godlewski (sprints), who placed 11th in the 400-meter dash (:52.90) and sophomore Dillon Buongiorno (sprints) also return. With All-American runner Andrew Thompson leading the way, Fairfield Prep coach Mark Langston is looking forward to a successful outdoor season. Thompson, a junior, competed in the 2016 Foot Locker National Championship race in San Diego in December, finishing 35th overall with a time of 15:52 over the 5,000-meter course. The performance in San Diego capped a fall season that saw Thompson win his second straight SCC cross country title (15:36), finish second in both the Class LL (15:50) and State Open (15:47) races and place 10th in the Foot Locker Northeast regional race (15:49), earning him the ticket to the national finals. He won the SCC’s Cross Country Runner of the Year award for the second straight season. Thompson will be a tri-captain for the Jesuits this spring, along with John Gnibus and Devonte Shaw. Others returning include: Ian Emery and Chris Nilsson. “We are looking forward to building off a good indoor season,” Langston wrote. Notre Dame-Fairfield did not return a prospectus from to the Citizen. 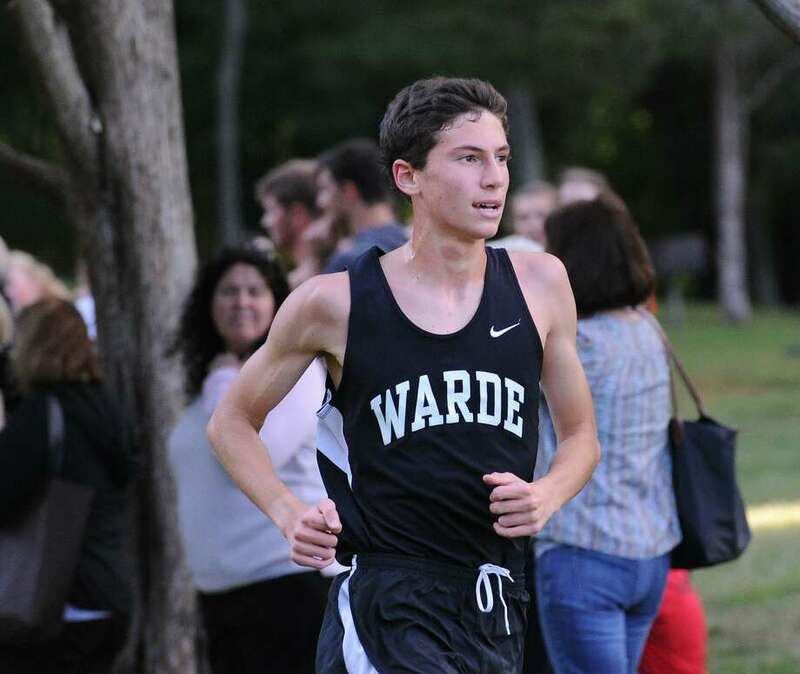 Led by New England Championships runner Gabi Galletta, Warde is looking to improve upon last spring’s 5-3 regular season record and 14th place FCIAC meet finish. Galletta finished eighth in the 1,600-meter run last spring (5:23.89) and finished 21 st in the New England Championships at 3,200-meters. Also returning are distance runners senior Sarah Radziewicz, who was 15th in the 3,200-meter race last spring (12:09.41) and sophomore Tara McVeigh. Juniors Carly Pavoni and Julia Eustace will run middle distance with Foster’s top returning sprinters including seniors Kayla Yaverski, Maria Flores and sophomore Mallory Elliot, who was 15th in the 100-meter dash at the FCIAC meet last spring. Yaverski was 18th in the 400-meter dash (1:04.14) and placed 29th in the 200-meter dash (:28.52). High jumper senior Jasmine Conduah (11th at the FCIAC meet,4-feet, 8-inches), senior hurdler Nicole Dunn (11th in the 100-meter hurdles, :18.13), junior long jumper Belle Simoes (seventh, 15-feet, 3-inches) and thrower senior Manar Enany (sixth, 31-feet, 5-inches) all return. “Hard word from the beginning of the season will allow us to experience much success come postseason,” Foster wrote. Ludlowe went 3-5 in the regular season but finished eighth in the FCIAC meet and 14th in the Class LL, marking solid improvement under coach Kelly Renna. The Falcons’ captains this spring will be seniors Sarah Leatherwood, Brianna Auray, Cassandra Factora, Annie Funk and Jaekwana Newton and juniors Keegan Simonsen and Olivia Accomondo. Auray, who was 15th in the FCIAC 800-meter race last spring (2:33.03) and Alyssa Kraus, who placed 10th (2:28.62), will lead the middle-distance runners for Ludlowe. Leatherwood, who was ninth in the 3,200 race (11:37.60), Paige Davis, who was sixth in the 3,200 (11:30.80), Simonsen, who was fifth in the 1,600 race (5:16.74) and fifth in the 3,200 race (11:28.64), Julia Antonicelli and Lauren O’Neil, will key the distance events.